Smartphones have become a necessity instead of a luxury. Smartphones have allowed users to engage with technology using innovative applications, be it as a simple application as age guesser, or an augmented reality application such as Pokémon GO. Mobile apps have changed the way we learn, communicate and even engage in professional businesses. Online Shopping, Social Media, E-Learning, Market Trading, Movie Streaming, you name it, and there is a mobile application available for it. Android is the unquestionable leader in Smartphone Market with 88% market share garnered at the end of 2016. 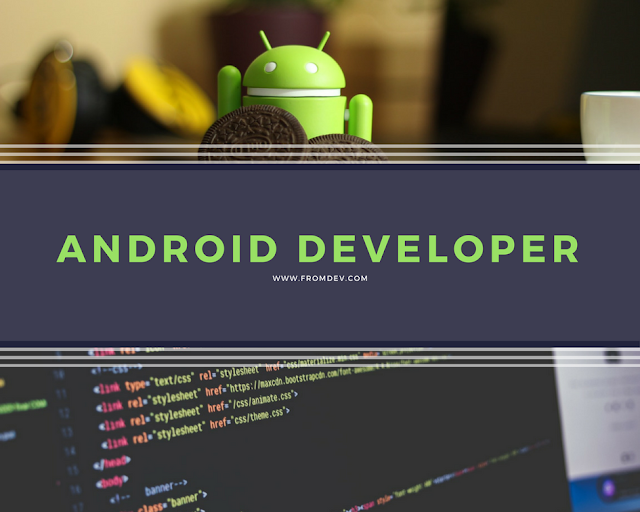 With over 2 billion active Android devices in May 2017, the Android Development industry has a high demand for proficient Android Developers. The Google play store showcases over 3 million applications, and the number is increasing by the second. Therefore, skilled Android developers can easily succeed in the Android arena. Learning the basics of Computer Science is the perfect way to begin the developer’s journey. This will help you understand how to think algorithmically and crack problems swiftly and correctly. After you have a grasp of basic concepts such as Algorithms, Encapsulation, Security, and Software Engineering, you can move onto the fundamentals of programming languages. With a load of courses available online, you should get up and running with the fundamentals of Computer Science in no time. The primary building block of Android Application Development in Java. Being at ease with Java and its concepts is the key to become a skillful and successful developer. Java is considered one of the most useful programming languages and becoming proficient in Java can help you in the long run. Android uses Java’s OOP model in which the programming elements are broken into multiple pieces to imitate real life objects. There are multiple courses available online which provide Java training efficiently ensuring you can learn it from scratch. With Java at your fingertips, you can easily step into the ‘Coding’ aspect of Android Application Development. Kotlin is a super new language which has recently achieved support from Google on Android as a developer’s language. Kotlin is a language which runs on Java Virtual Machine (JVM), and it is now becoming a promising language to be used in Android Application development. Kotlin and Java both are object-oriented and are designed similarly, but Kotlin boasts of a clearer syntax and a variety of programming advancements over Java which makes it easier to code in Kotlin. Kotlin is relatively new and becoming proficient in Kotlin can add a gold star to your resume. After Java and Kotlin, you need to spend some time with other languages such as Structured Query Language (SQL) and Extensible Markup Language (XML). SQL is required to organize and gather data from databases. On the other hand, XML is required to describe the data. Simply put, XML is used to design the UI layouts and analyzing data from the internet. A basic understanding of SQL and XML is sufficient in Android Application Development. Before jumping into the development phase, it is essential to understand that mobile application development is an entirely different branch and should not be considered the same as desktop or web application development. In web application development, the OS is the ultimate boss who decides the application priority, but in Android development, your code is the ultimate king. It is for your code to decide how the external events will be handled. For example, what happens if in between your mobile gaming application a call has to be received? Will the game be paused or terminated? All these questions will be answered by you in your code. Understanding Android and the application lifecycle will help you provide the users with a seamless experience. The most significant feature Android Application Development has to offer to the developers is the required tools being free and easily obtainable. To create Android applications, you need an Android Software Development Kit (SDK) and a coding and assembling software, Android Studio. SDK provides the developers with pre-developed example codes, software, coding tools and a bucket load of other features to help you seam through the development. Android applications are coded using Java, but the Android Application Programming Interface adds certain packages to the command set of your code. This helps you to create code which can control the smartphone features such as Audio or Video Recording, Wi-Fi connectivity, sending SMS and much more. Once you become proficient in Android API, you can create mobile applications which can do as much in the background as in the foreground. Multiple online courses are available to understand these packages and Google Developers official websites also provides short snippets of information which can be useful for new developers. Once you get a hold of the necessary software knowledge, it is always useful to keep learning and practicing. There is no limit to resources available online for the application developers, and one should look for something new every now and then. Apart from Android Magazines, YouTube, Development websites and forums, Google’s own Android Developer Website will help you in every way you wish. Once you think you have it in you, crack our fingers and start coding to create your application. Creating an application is easy if you have the perfect blend of an idea and skills, but Google has made sure that submitting an application to the Google Play Store is easier. With a nominal registration fee, you can start submitting your applications to the play store. Once you believe you are ready to be employed, start showcasing your talent to sell yourself as the perfect candidate. Websites such as GitHub and Behance let you create your online portfolio. You can also showcase your work on websites such as LinkedIn, which boast of a more professional audience and can prove to be viable. The bottom line is, Android Mobile Applications are in high demand and the numbers are not expected to come down. Google has been increasing its hold on the Smartphone market, and the Android market share has increased drastically. This makes it the most credible time to kick-start your career as an Android Application Developer and continue to expand your skill set with the ever growing technology.